Whenever a new Finished Good part is created, it may be required to generate a new item number (i.e. Title Block Number + Page Three Catalog Details). The Auto Value Generator can automate this functionality. Another scenario is to generate the Description of an item by using different attributes of that item thereby standardizing the description field. 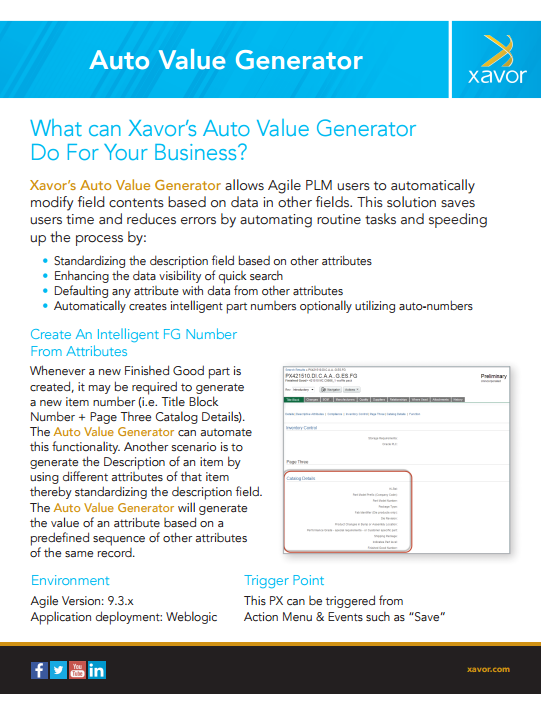 The Auto Value Generator will generate the value of an attribute based on a predefined sequence of other attributes of the same record.